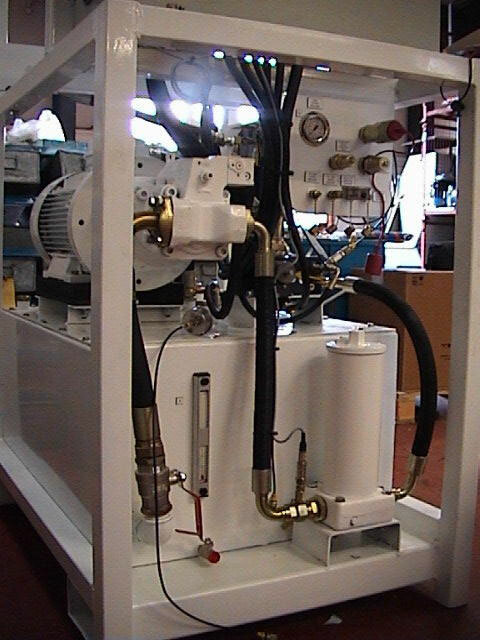 The hydraulic power unit is designed to provide fully variable speed control of a Staffa HMB060 hydraulic motor. Speed is controlled by a Hawe load sensing proportional valve electrically providing a pilot signal to the Kawasaki K3VL load sensing pump. Matching the load sensing valve and pump creates a highly responsive system with a minimum of heat generation. The Staffa hydraulic motor turns a mixing paddle for stirring of low level nuclear waste in containment barrels filled with concrete. 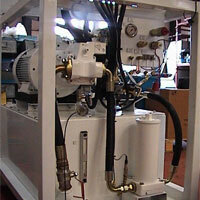 Antech Hydraulics designed, manufactured and supplied the hydraulic unit and component parts. 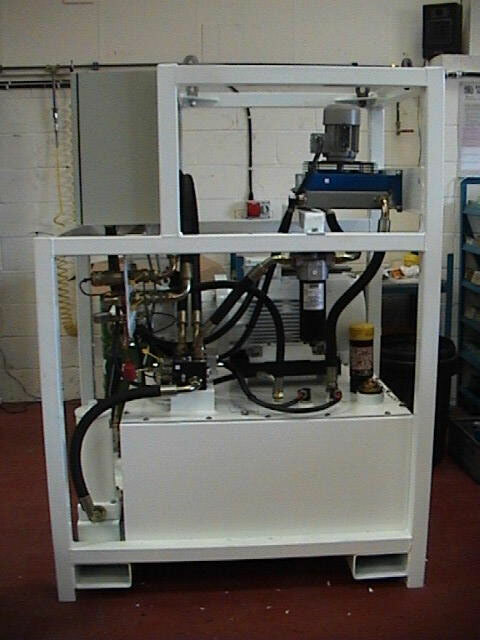 All electrical aspects were controlled as a sub-contract through Antech Hydraulics Ltd.